Cecil Beaton (1904-1980) was one of the most original and prolific creative talents of the twentieth century. Born in London and educated at Harrow and Cambridge University, he worked not only as a fashion photographer but also as a writer, artist, and actor and in his primary field of interest as a stage and costume designer for ballet, opera, and theater. Beaton was a self-taught photographer: he was given a simple Kodak 3A camera for his twelfth birthday and soon was eagerly photographing his young sisters, Nancy and Barbara ("Baba"), in "period" costumes and sets he made from fish-scale tissues and pseudo-Florentine brocades, tinsel nets, and imitation leopard skins. His nanny developed his negatives in the bathtub. In 1927, at the age of twenty-three, he went to work for Vogue as a cartoonist, but he soon began freelancing as a photographer for Condé Nast Publications and Harper's Bazaar, taking fashion shots and portraits of royalty and personalities in the arts and literature. The most important influence on Beaton's fashion photography was his interest in stage design and theatrical production, in which he was extremely accomplished. He did costume design for the film Gigi and set and costume design for the play and the film My Fair Lady, receiving Oscars for both. He also designed for the Metropolitan Opera, the Comédie Française, the Royal Ballet (London), and the American Ballet Theatre. "Completely stage struck" at an early age, he wrote in his Photobiography that he felt "a keen perverse enjoyment in scrutinizing photographs of stage scenery. The more blatantly these showed the tricks and artifices of the stage, which would never be obvious to a theatre audience, the greater my pleasure" (p. 16). This interest explains some of Beaton's most unusual fashion photographs, which include hanging wires and large sheets of pasted paper as backdrops for high-fashion outfits. Beaton also had an extensive knowledge of Victorian and Edwardian photography and drew for inspiration on the costume depiction of such nineteenth-century portrait photographers as Camille Silvy and the collaborators D. O. Hill and Robert Adamson. He was also inspired by the soft-focus technique of the photographer E. O. Hoppé, the opalescent lighting of Baron Adolf de Meyer, and conventions of English portraiture and Renaissance painting. Beaton combined these influences with his innate taste for Victorian surface ornamentation and opulent effects, or what the critic Hilton Kramer has termed "extravagant and overripe artifice" (p. 28). Beaton first traveled to Hollywood in 1931, and the world of tinsel as well as the influence of surrealism he encountered there were well suited to his insatiable taste for the theatrical and exotic. "My first impressions of a film studio were so strange and fantastic that I felt I could never drain their photographic possibilities," he wrote. "The vast sound stages, with the festoons of ropes, chains, and the haphazard impedimenta, were as lofty and aweinspiring as cathedrals; the element of paradox and surprise was never-ending, and the juxtaposition of objects and people gave me my first glimpse of Surrealism" (Photobiography, p. 61). Beaton began introducing strong shadows into his work, a motif he may well have borrowed from Hollywood productions. The use of such shadows was popular in movies and advertising photography of the 1930s, so much so that articles such as one entitled "Shadows in Commercial Photography" were devoted to it (Hall-Duncan, p. 61). A famous pair of pendant photographs taken by Beaton in 1935 each shows an elegant model attended by three debonair phantoms created by back-lighting three tuxedoed male models against a white muslin screen (Hall-Duncan, pp. 114-115). Returning to New York for his Vogue assignments in 1934, Beaton took his always fussy sets to a new level of fantastic overindulgence. He combed the antique shops of Madison and Third Avenues for carved arabesques, gesticulating cupids, silver studio work, and ceilings in imitation of the Italian rococo painter Giovanni Battista Tiepolo. "His baroque is worse than his bite," was a comment heard around the Condé Nast studios. At the same time, under the influence of surrealism, which advocated the surprising juxtaposition of objects as a way to release the subconscious, he began incorporating bizarre combinations that created some of the most unusual fashion photographs of the century. The commonest object became grist for Beaton's creative mill: expensive gowns were posed against backgrounds of eggbeaters and cutlet frills, wire bedsprings, and kitchen utensils. Models appeared wearing hats composed of eggshells or carrying baskets of tree twigs. Beaton was even accused of using toilet paper, though his background was actually made of what is called "cartridge" paper. The most extreme example was one that would have profound implications for fashion photography decades later, particularly in the work of Guy Bourdin and Deborah Turbeville. In 1937 Beaton discovered an office building under construction on the Champs-Elysées in Paris that revealed a "fantastic décor" (Photobiography, p. 73) of cement sacks, mortar, bricks, and half-finished walls. The resulting prints, in which Beaton showed mannequins nonchalantly reading newspapers or idling elegantly in this debris, were published with much hesitation on the part of the magazine's editors. Yet even much later, as Beaton noted, "fashion photographers are still searching for corners of desolation and decay, for peeling walls, scabrous bill-boardings and rubble to serve as a background for the latest and most expensive dresses" (Photobiography, p. 73). By the middle of the 1930s Beaton was starting to be disturbed by Vogue's restrictions on his creativity. He was called into the Vogue offices for posing models in "unladylike" poses with their feet planted well apart. Then it was found that Beaton had incorporated anti-Semitic words into the border of a pen-and-ink sketch done for the February 1938 issue of Vogue. The offending line read, "Mr. R. Andrew's ball at the El Morocco brought out all the dirty kikes in town." The result, after 150,000 copies of Vogue were on newsstands, was catastrophic. Condé Nast recalled and reprinted 130,000 copies of the questionable issue and quickly issued a legal disclaimer. Walter Winchell wrote a snide review, as did many other columnists. As a result, Beaton "resigned." In time, the incident blew over and Beaton was reinstated at Vogue, where he continued to do fashion photography for several more decades. 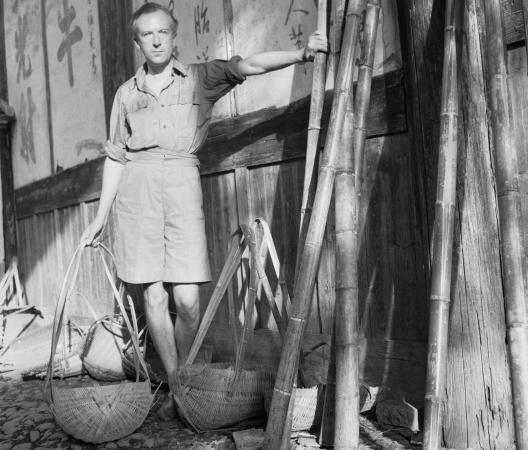 During World War II he was the official photographer to the British Ministry of Information, photographing the fronts in Africa and in the Near and Far East. Beaton had a long and extremely productive career in fashion photography, costume, and set design and writing and illustrating many books with his own witty drawings, based on the detailed diaries he kept all his life. Yet his work is of uneven quality. 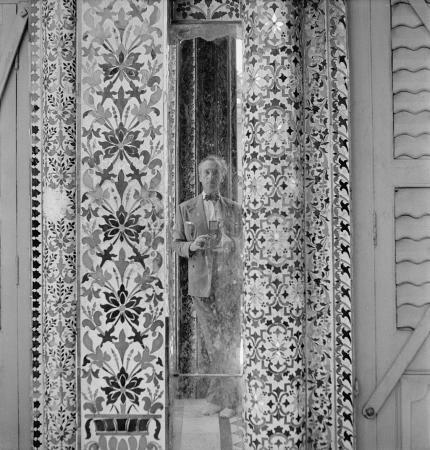 "When Cecil Beaton is good," the photography critic Gene Thornton said, "he is very, very good, but when he's bad, he's horrid…. It takes a kind of genius to be that bad" (p. 33). Indeed, the excesses of Beaton's style can be cloying, naive, and even trite, but few have questioned the inventive range of work or the important influence it would have on subsequent fashion photographers, particularly in the 1970s. See also Fashion Photography; Film and Fashion; Theatrical Costume; Vogue. Cecil Beaton. Photobiography. London: Odhams Press, 1951. Danziger, James. Beaton. New York: Viking Press, 1980. Garner, Philippe, and David Alan Mellor. Cecil Beaton: Photographs 1920-1970. New York: Stuart, Tabori, and Chang, 1995. Hall-Duncan, Nancy. The History of Fashion Photography. New York: Alpine Book Company, 1979. Kramer, Hilton. "The Dubious Art of Fashion Photography." New York Times, 28 December 1975. Ross, Josephine. Beaton in Vogue. New York: Clarkson N. Potter, 1986. Thornton, Gene. "It's Hard to Miss with a Show of the '30s." New York Times, 18 April 1976.